The International Olympic Committee has denied claims the official emblem for the Tokyo 2020 Games infringes the copyright of a Belgian theatre's logo. The Tokyo 2020 logo, unveiled last week, was designed by artist Kenjiro Sano and is based on the letter T.
Belgian designer Olivier Debie says the design is a copy of a motif he created for the Theatre De Liege, and has pledged to "take action". 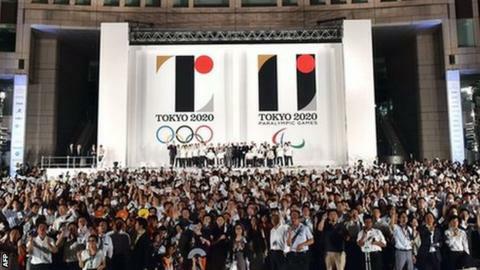 But IOC vice-president John Coates said Tokyo 2020 "does not have a problem". He told a meeting of the Olympic management: "The IOC and Tokyo have checked all the copyright registers prior to this launch and that logo in Belgium isn't protected. "We have looked at this design and we don't think we have a problem." Debie admits his design, published in 2013, is not registered as a trademark. But he said a formal complaint has been sent to the IOC through his lawyer because the theatre is "constantly engaged in exchanges with the whole world" and "doesn't want to have something resembling their logo".